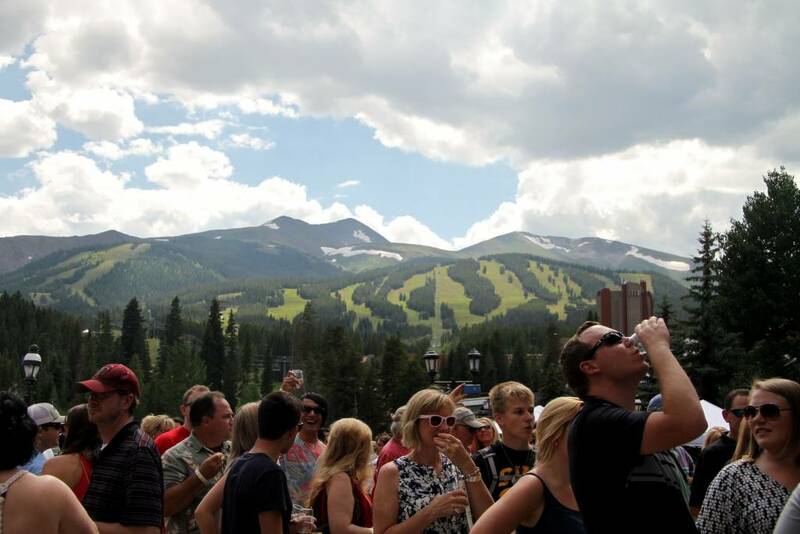 The Breckenridge Food and Wine Festival brings you a unique, wine-tasting experience. Main Street Station Plaza and The Village at Breckenridge, (at the base of Peak Nine), transform into a beautiful, mountain-side vineyard starring an array of varietals created by top wineries. From the soft and smooth to the unabashedly bold, guests will get more than their fair share of delicious sips. There will be nearly 300 wines to select from! So the palate doesn’t get lonely, foodies will appreciate the yummy small dishes available a la carte to accompany each vintage. Live music will tempt the ear, fulfilling the realm of the senses. Please note – Festival food offered by many vendors is not included and available a la carte for purchase. 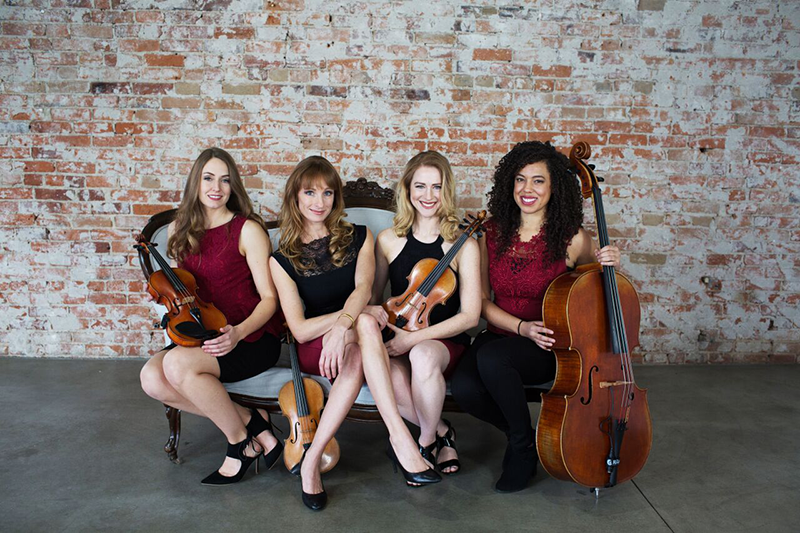 Crossover string quartet “Spinphony” is breaking down barriers between classical, rock, and pop music. Mixing and mashing catchy melodies into unique arrangements and original compositions, the high energy quartet is more like a rock band with added choreography and beats from a DJ. Get your wine palate in tune! Guests will enjoy live music, receive a commemorative glass and unlimited wine samples. This pass is universally ideal for new and seasoned wine enthusiasts. Festival food is not included and available a la carte. Cost: $60 per person, in advance and $70.00 per person at the gate, if available. Every fantastic festival begins with a memorable experience, and for us, it’s food that tells a story. Taste the deep flavors and aromas that make wine and cuisine so special. From the presentation to the pour, the Wine Specialist will provide rich insights into the pairing process while our Executive Chef shares the inspiration behind the fare selections. The dinner is pure heart and soul overlooking water and mountains, the next best thing to dining at a vineyard. Reservations are required. The Breckenridge Food & Wine VIP Experience is a prestigious, tasting adventure. Guests will enjoy live music, a commemorative glass, unlimited wine samples as well as exclusive access to the VIP Lounge with hospitality and a wine bar, (of course!). VIP’s will also indulge in delicious food, artisan cheeses, sweets, a sparkling wine welcome reception and early access the Grand Wine Tasting one hour before gates open to pass holders. “Carpe Vinum!” VIP tickets are limited and sell-out fast! Time: Welcome Reception at 12:30pm with VIP Center open until 5:30pm. Exclusive early access at 1:00pm with Grand Tasting from 2:00pm – 6:00pm. We agree and we know that you may need to recover from a big day at the festival! This social affair will feature sparkling refreshers and mimosas accompanied by a large spread of brunch time foods. A Korbel brand ambassador will be featured at 10:30 for a champagne seminar. Breck Food & Wine All Access – Best Value! Your friends appreciate you being their Designated Driver and so do we! Free admission to the event for music and an overall good time without the booze. Thanks! Spend the weekend on site during the Breckenridge Food & Wine! Wyndham Vacation Rentals is offering lodging packages up to 25% off for guests of Food & Wine. 20% discount on best available rate for rooms at: Village at Breckenridge, River Mountain Lodge, Mountain Thunder Lodge, Crystal Peak Lodge, One Ski Hill Place. The Breckenridge Food and Wine Festival will feature nearly 300 wines from over 70 of the top and most awarded wineries from USA, France, Italy, Spain, Germany, Portugal, New Zealand, Australia, Argentina, and Chile. Festival fare is not included and will be available a la carte. Who really needs an excuse to drink wine? Well, we will give you a good one anyway. Did you know that proceeds from the Breckenridge Food and Wine Festival will help humanitarian efforts all over the world? Here’s to sampling the glorious grape nectar and making things just a little bit better. Win a trip to Napa Valley! The Breckenridge Mountain Rotary Club will host a silent auction as well as a raffle for a trip to Napa Valley valued at $2,000.00 from Breakthru Beverage Group. Yes, we are totally serious! 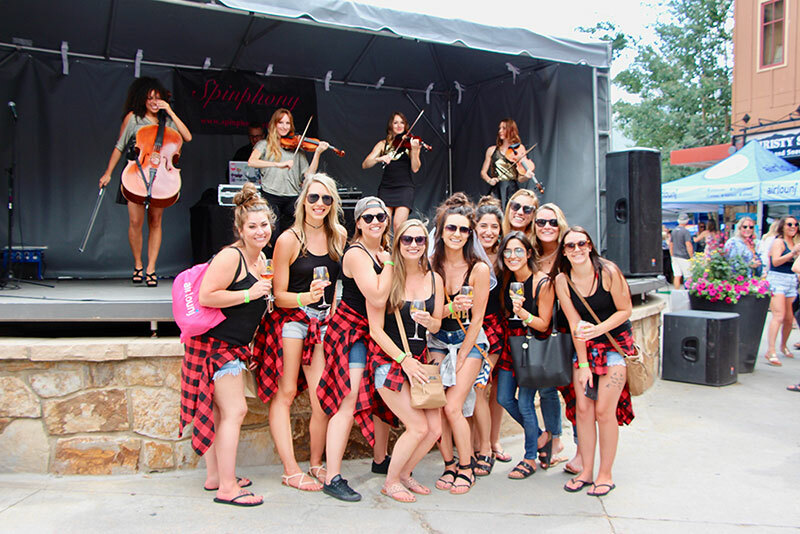 Thank you to our sponsors, Breakthru Beverage Group, Breckenridge Brewery, Breckenridge Grand Vacations, Vail Resorts, Main Street Station Plaza, The Village at Breckenridge, Wyndham Vacation Rentals, Hyatt Residence Club and the Merchants of Main Street Station. Breckenridge Food & Wine is a no pet event.